In this video you'll make a letter change color when it's clicked. This changes the look of a letter in your animation, and makes it stand out. Scroll through the sprites to find the letter you need. 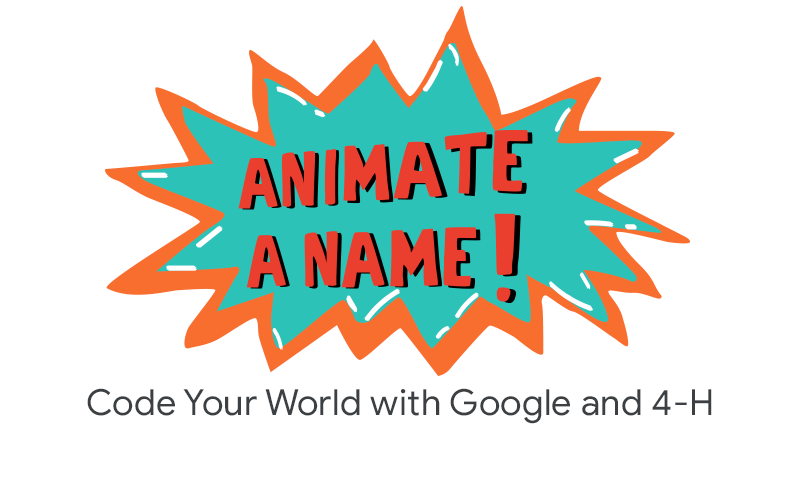 This example uses the letter A, but you will add a sprite for the name you're animating. Next, code the sprite to change colors. Click, hold, and drag out a change effect by block. Change the dropdown to color. Each the time you click, the sprite changes color. Next, make the sprite change color when it is clicked. To do this, click the Events menu. Blocks from this menu tell the computer when to run code. Drag out a when this sprite clicked block. Attach it to the top of the change effect by block. Click the sprite to see what happens. The sprite changes color when you click it. Add a change effect by block, and change the dropdown to color. Open the Teacher Demo Project. Add code to change the color of one of the letters when you click the sprite. Go to Step 2: Review materials.